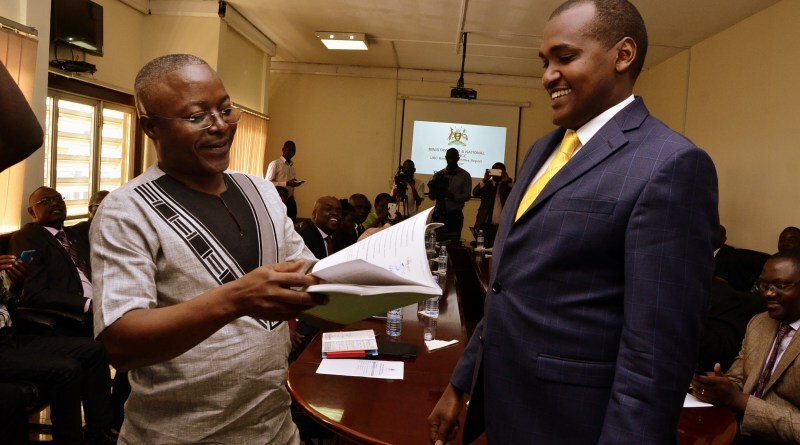 ICT and Information minister Frank Tumwebaze receives the UBC report from Dr Peter Mwesigye. Courtesy photo. 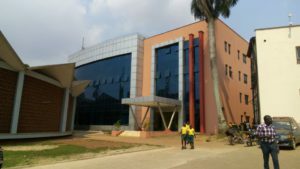 The Uganda Broadcasting Corporation (UBC) is set to undergo massive restructuring as the national broadcaster seeks to bolster its operation. In a June 27 letter copied to all staff of the corporation the UBC Board of Directors notes that since the corporation’s inception in 2005, following the merger of Radio Uganda and Uganda Televion, UBC has not been run as efficiently as required. “It is against this background that the board had to re-examine the strategic direction of the corporation and together with management came up with a new strategy to guide the corporation over the next five years,” the letter reads in part. The UBC digital studio building. The letter further states that the Board, working closely with the Ministry of Information Technology and National Guidance, decided to undertake several measures aimed at salvaging the corporation. 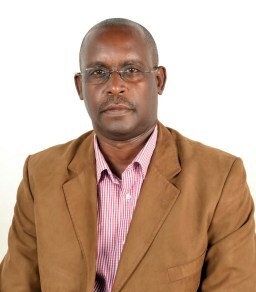 Among the measures the board cites include restructuring the corporation to give it appropriate staff structure, carrying out an audit of the current equipment used in broadcasting to determine its capacity and adequacy to the needs of UBC, conducting market research and developing marketing strategy to raise revenue and make UBC self-sustaining, as well as putting in place mechanisms for sourcing and producing superior content relevant to the programming needs of a national broadcaster. UBC has in the recent past been dogged by numerous challenges, including failure to pay workers and clear electricity bills, as well as resignation and suspension of senior managers. The most recent incident was the suspension of Managing Director Winston Agaba that PML Daily reported last week. On a number of occasions, the ailing broadcaster has asked for bailout from government. Suspended: MD Winston Agaba. Courtesy photo. The dire situation of the national broadcaster prompted government to institute a committee headed by former Makerere University don and media consultant Peter Mwesige to look into the problems of UBC and make appropriate recommendations. The committee, among others, recommended that UBC had done little to secure its independence and remain relevant in the eyes of the public and recommended an overhaul of the corporation.